Replacement Con Rod Kit To Fit The Gilera GFR125. This Con Rod Kit Is A Quality Item Made In Japan, Comes With Crank Pin, Big End Bearing, Thrust Washes And Small End Bearing. Crankshaft Main Bearings To Fit The Gilera GFR 125 All Years. 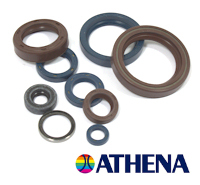 Engine Oil Seal Set For The Gilera GFR125 Athena Top Quality. 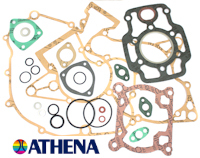 Perfect If your Just Working on the Clutch Of Your Gilera GFR125.